Colombian woman, data journalist and professor. 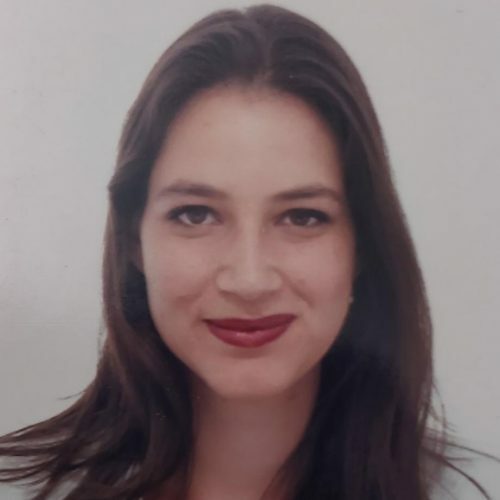 María Isabel Magaña is a journalist from La Sabana University (Chía, Colombia) and holds a master degree in Investigative Journalism, Data, and Visualization from the Rey Juan Carlos University (Madrid, Spain). She has worked with national media, such as RCN, Agencia Efe, ValorFuturo, and Datasketch, were she coordinated the Data Team that was shortlisted as best small data tea, at the Data Journalism Awards 2018. She has also collaborated with international news outlets such as El Mundo, BBC, and Eldiario.es. She has participated in national and transnational investigations, focusing on supporting the information with data and producing appealing visualizations. "The Enslaved Land", carried out with a team of 20 journalists from five different countries, was shortlisted at the LATAM Digital Media Awards 2017, the European Press Prize 2018 and the Data Journalism Awards 2018 as the best innovation production. She built the first platform to promote the right to know and access to information in Colombia: QueremosDatos.co. She has been a workshop at national and international events, such as the editorial meetings of the Editorial Board, the AbreLatam data conference or the TechCamps promoted by the State Department in different Latin American countries. At the moment, she teaches data journalism at La Sabana University.